Whilst wearing your trousers or jeans measure your belt size by threading a flexible measuring tape through the empty belt loops. Thread the tape measure as though it were a belt. If you do not have a flexible tape please contact me with your name and address so I can send you a paper measuring tape. Hold the tape measure taut, take an exact measurement and write it down. Once I have received your order and payment I will contact you by email or phone. Please have your exact belt size ready for me as this is required before I make your belt. I will punch 5 oval shaped holes at one-inch intervals, the centre hole matching the belt size you have supplied. If you would like more holes please add your request to the special requirement box when placing your order. I make my belts so they end on your hip with an English point. The overall length of the belt will be the measurement you provide plus 25%. If you require an extra large belt there is no extra charge. In this case though the leather hide may not be long enough for the belt to finish on the hip. Most mongoose moon belts look great with jeans. 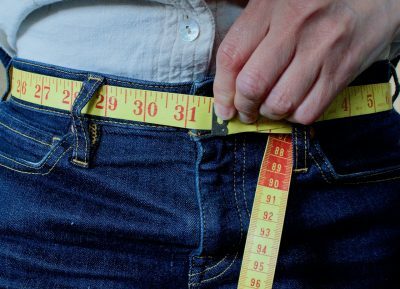 When measuring your belt size always check the internal size of the belt loops on your trousers or jeans. The loops need to easily accommodate the width of your chosen belt, plus the thickness of your choice of leather. Do contact me if you need to know the exact thickness of the leather hide that will be used for your belt. Measure an old belt, as this will often be twisted or misshaped. Use your jean or trouser waist size as trousers rarely sit along your waistline.